Fantastic what Epilepsy Action accomplished the other day with one tweet! The UK-based epilepsy advocacy group addressed a Tweet to Twitter UK asking for removal of 2 video advertisements with quickly changing colors that had the appeared as flashing images. Within an hour Twitter UK responded graciously that it had deleted the offending ads. A major bonus–the exchange resulted in news stories in dozens of media outlets, including the Los Angeles Times, Yahoo Tech, Fortune, and the BBC News, raising awareness of the problem and showing Twitter UK as a responsive corporation. 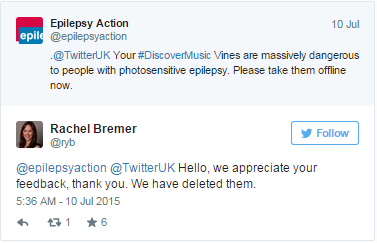 Using the same Twitter strategy, Epilepsy Action succeeded again yesterday in getting an unsafe ad removed by media giant Virgin Media. (See Twitter exchange further down.) For some time I have been admiring Epilepsy Action’s diligence regarding photosensitive epilepsy awareness and their outreach to organizations whose products/services place the public at unnecessary risk of seizures. Why don’t we see this kind of advocacy in the US? It’s not a priority of US epilepsy advocacy organizations to proactively protect the public from seizure-inducing images. Because the public is often reminded of the potential for images provoking seizures, and because the government has chosen to enact regulation of moving images, it’s not an out-of-the-ordinary event for people to notice and report problem images. Could individuals use Twitter to ask video game companies to remove potentially harmful images? Removing/altering problem sequences from a video game is much more technically complex than removing or fixing a seconds-long video ad from an online platform. Many popular video games are built over a period of years, using huge amounts of code, and allowing lots of variation in what images might appear onscreen, depending on how the game is played. An individual asking for a modification from a corporation doesn’t carry nearly the same weight as an organization such as the Epilepsy Foundation. Consumers’ communication about specific games typically occurs within members-only user forums that aren’t seen by the general public–thus no pressure from outside the user community. These user forums can be quite hostile when the topic of seizures comes up. Here’s one quote from within the gaming community. So…I will try contacting some game companies on their official Twitter page to let them know their game has failed the Harding Flash and Pattern Analyzer in my tests. Has anyone reading this tried to contact a video game company to report that a game triggered a seizure? I will let you know how I do!! [Update: February 8, 2016] So I forgot to post an update. I tried tweeting 8 times to various game companies about their game having seizure-provoking images. No response…and assume that’s enough evidence to prove my point that some advocacy organization with name recognition needs to take on the issue. Momentum is growing to eliminate the barriers that make it difficult or impossible for people with disabilities to play video games. An assortment of game accessibility specialists and organizations are advocating with and educating game developers on how to adapt their offerings for gamers with physical, sensory, and/or cognitive impairments many types of disabilities. In addition some of these organizations work with individuals to resolve specific accessibility issues. Q: How might this trend bring about progress on the seizure hazard in many games? A: Remains to be seen because game-induced seizures don’t typically receive a lot of attention amid advocacy for other disabilities, many of which are better known. There are also two well-established game accessibility groups—both founded more than 10 years ago—that address all sorts of disabilities and could therefore actively promote the development of games that are unlikely to trigger seizures. The Able Gamers Foundation is a non-profit, staffed by volunteers, that is supported by donations from individuals and some big names in the industry, including Sony, Harmonix, the Steam storefront, and others. Able Gamers advocates for more accessible games and advises game developers on how to make necessary modifications to equipment and programs. The organization published a set of game accessibility guidelines written by developers and by gamers with disabilities. The guidelines appear under the title Includification (I love that term). Accommodations for mobility impairments make up the largest category in the Includification booklet: remappable keys, compatibility with specialized input devices, and so on. 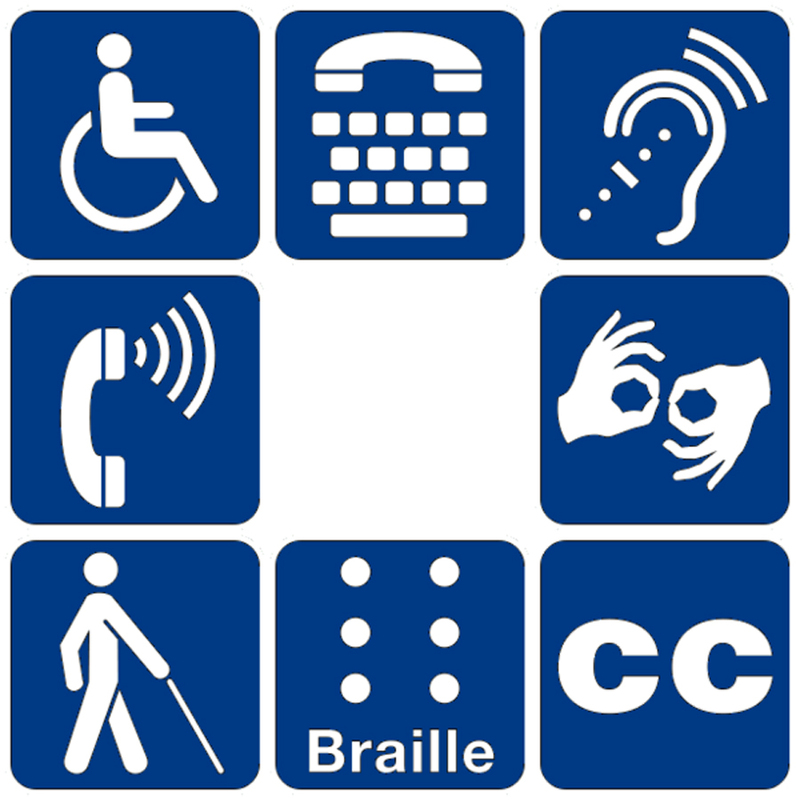 Accommodations for hearing, vision, and cognitive disability are outlined as well. Able Gamers says that flash and flicker guidelines, not currently in the document, will be added in a revision scheduled for later this year. Able Gamers does a lot of community outreach to gamers with special needs and tours the country demonstrating assistive technology devices that make game play possible for individuals who cannot use conventional controllers or other standard input/output technology. The group reviews games for accessibility features, and it provides online forums where disabled players can connect with each other. Able Gamers also provides grants to individuals who need customized assistive technology for gaming. The Game Accessibility Special Interest Group (SIG) of the International Game Designers Association, founded by a member of Stockholm University’s Department of Computer and Systems Sciences, is a mix of game developers and academic and industry accessibility experts. The group presents at conferences, surveys developers, and organizes accessibility competitions for game design students. The goals of the SIG include advocacy, cross-industry cooperation, and creating a curriculum on accessible design that can be incorporated into existing post-secondary game design courses. The SIG is embarking on an ambitious, multi-faceted effort to move this agenda forward. He’s absolutely right. Games and game equipment that don’t accommodate users with other disabilities typically make it frustrating or very difficult to play a satisfying game. As an example, a game lacking easily readable on-screen captioning will make users with vision or hearing impairments unhappy that they’re at a competitive disadvantage as players. But the stakes for users with photosensitive epilepsy (including the potential for serious medical issues and life-long limitations) are quite serious. People with photosensitive epilepsy are not a well-identified group. Many people who are at risk for image-induced seizures aren’t aware they have the condition and are therefore at risk. Either they’ve not yet been triggered or they aren’t aware of seizures they’ve already had. Since a large portion of those at risk don’t realize they need to avoid certain specific types of images, they can’t be expected to avoid those images. Game developers should therefore take some responsibility to minimize the risk of seizures. Advocates say many developers are responsive to specific requests for modifications that help those with a particular disability, because many accessibility issues stem from a lack of awareness by product designers of accessible design practices. Although it’s true that accessible design isn’t typically included in the game design curriculum, this argument doesn’t really hold up when it comes to seizure-inducing images. Game publishers have acknowledged for more than 20 years that their games could pose a risk to individuals with photosensitive epilepsy. The legal departments of game publishers should communicate with their own designers and developers about making games less likely to spark seizures. Many popular games continue to contain seizure-inducing images. Advocates encourage the involvement of individuals with disabilities in the design and testing of games for the benefit of all parties. For people with visually induced seizures, this isn’t feasible, nor is it necessary. Testing needs to be done without placing people at risk, using existing analysis applications that utilize research-based image specifications. For these consumers there is little chance of developing an ongoing collaborative relationship with the industry. Despite a 2005 consensus paper by the Photosensitivity Task Force of the Epilepsy Foundation of America identifying seizures from visual stimulation as a significant public health problem**, there has been no organized advocacy to reduce visual stimuli in our everyday environment that can trigger seizures. Advocacy efforts (in the USA, anyway) to improve the lives of people with photosensitive epilepsy appear to be practically non-existent. In contrast, the interests of people with vision, hearing, and movement impairments are represented by organizations that proactively take on quality-of-daily-life issues. I applaud the work of the Games Accessibility SIG, the Able Gamers Foundation, and other groups addressing accessibility. They are making strides on an important issue while faced with the task of convincing the industry that design changes for accessibility will pay off in improved overall game design and a larger customer base. But in order to make possible the massive and broad-based cultural change that’s needed, I believe these talented and dedicated advocates need significantly greater resources, buy-in, and recognition. The industry needs to declare publicly that it is committing itself to making gaming more inclusive of people with disabilities. In the face of frequent challenges about the contents of video games and their influence on young people, the accessibility issue offers a win-win public relations opportunity for video games. The Entertainment Software Association is just the organization to proactively announce an industry-wide goal of providing people with disabilities easier access to video game entertainment and learning. The ESA should establish and contribute major resources to a game industry consortium for promoting and achieving accessibility education, standards, learning, and collaboration, leading to a more inclusive—and larger—customer base. — from Robert S. Fisher et al., “Photic- and Pattern-induced Seizures: A Review for the Epilepsy Foundation of America Working Group.” Epilepsia Volume 46, Issue 9 (September 2005), pages 1426–1441. Disenfranchisement of reflex seizures ending? The new definition of epilepsy makes it clear that reflex seizures “count” as evidence of epilepsy. In previous definitions, this was not explicity stated. A new definition of epilepsy published this week affirms that photosensitive and other reflex seizures qualify as “real” epilepsy. This clarification may eventually help increase awareness of seizures from video games and other electronic media. Although reflex seizures have long been included in official classification schemes of epileptic seizures, they don’t fit cleanly into established categories of seizure types and epilepsy syndromes. In neurology training they are typically mentioned only briefly. And typically they are taken too lightly by doctors using the prevailing diagnostic criteria for epilepsy: at least two unprovoked seizures at least 24 hours apart. Diagnostic criteria under the new definition now include at least two unprovoked or reflex seizures at least 24 hours apart. The new definition also allows an epilepsy diagnosis after a single seizure–either unprovoked or reflex–if there is a high probability of recurrence. I’ve written previously about the inconsistency inherent in using the criterion of “unprovoked” to diagnose epilepsy in people whose seizures happen only in response to sensory triggers such as flashing light. This thinking (along with the assumption that photosensitive epilepsy is very rare) has led to marginalization of reflex seizures in the research community and among clinicians as well. Marginalization means doctors have been underdiagnosing reflex epilepsy, researchers seeking funding pursue other topics to study, and the public and public policy makers are largely unaware of the public health issue of photosensitive seizures. 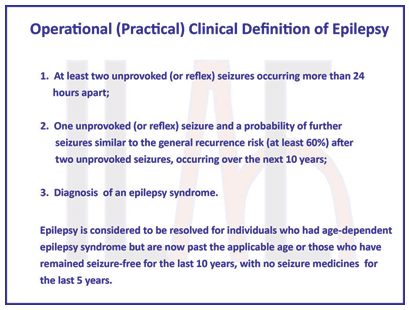 The practical clinical definition was developed by a 19-member multinational task force of the International League Against Epilepsy (ILAE), incorporating input from hundreds of other clinicians, researchers, patients, and other interested parties. I’m more than pleased that the ILAE is choosing to make it clear that reflex epilepsy deserves the same respect as other forms of the disease (the new definition paper characterizes epilepsy as a disease rather than a disorder). It’s fortunate that the chair of the ILAE task force that produced the new definition is Robert Fisher, MD, PhD of Stanford, lead author of the 2005 consensus paper describing seizures from visual stimulation as “a serious public health problem.” No doubt Dr. Fisher’s appreciation of the magnitude of the problem was instrumental in ensuring that the task force addressed it. Not all epileptologists agree with all aspects of the new epilepsy definition–and Epilepsia has given them a voice as well, publishing half a dozen commentaries, all of which are available free online. I contributed a piece as well, providing a patient/family perspective. Of course, it remains to be seen how long it will take for neurologists to shift their attitudes and diagnostic practices regarding reflex epilepsy. Perhaps the inclusion of reflex seizures in the epilepsy definition will help dispell the idea that reflex seizures are rare. 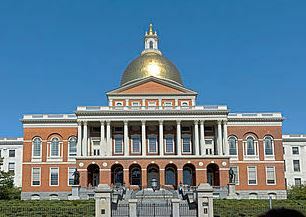 The Massachusetts State House in Boston, where a bill was filed to investigate video game seizures as a public health issue. Massachusetts State Rep. Ruth Balser has filed a bill calling for a working group to examine video game seizures as a public health issue in Massachusetts. The bill has been assigned to the Joint Committee on Public Health, where Rep. Balser is a member. 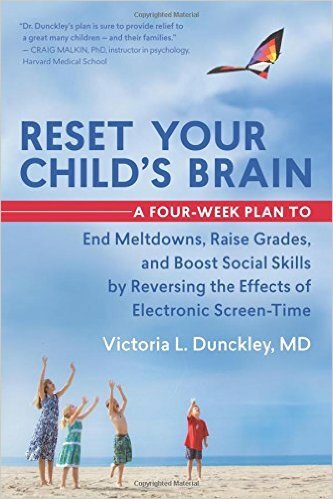 I had met with her a couple of years ago to share my concerns about video game seizures as an underrecognized public health problem, particularly in young people. 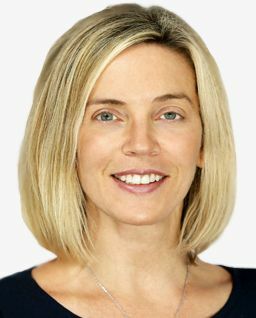 To date, state legislatures have considered proposals to limit access by minors to “mature” and violent game content, and one legislator in New York State has proposed that signs be posted warning of possible seizures wherever video games are sold or rented. 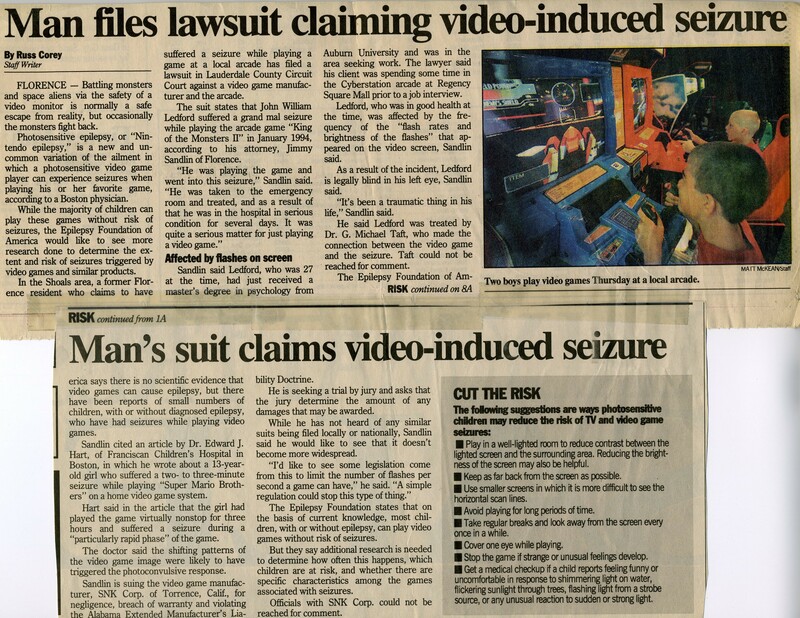 There have been no proposals like this one in Massachusetts, where the issue of concern is the public health problem of the seizures precipitated by video games. It’s my hope that this can be investigated and discussed in a straightforward way without all the emotion that gets people so polarized whenever the game industry and its supporters are asked to respond to concerns. The goal of this initiative is not to spoil anybody’s leisure time activities, or put game developers out of business, or take away anybody’s right to play games. It’s to reduce the risk of seizures while consumers play video games. The issue needs public discussion, and a thoughtful report prepared in the interest of public health is a good way to start. I’m learning about the process of enacting legislation in this state. The bill was formally introduced to the Joint Committee on Public Health in September: I provided articles on photosensitive epilepsy and letters of support for the bill, and made a very brief oral statement. The next step for the bill involves the Committee’s Director of Research, who will review the background information and support letters I provided. He will then recommend to the Committee’s House and Senate Chairs whether the bill should receive consideration by the full committee. In December, before he makes that recommendation, I will meet with him to discuss the issues and answer any questions. Stay tuned–in the coming weeks I’ll report on the progress of Mass. House bill H1892. **3/31/14 update: There won’t be any further progress on the bill during the current legislative session (that ends at the end of the year). I’ve learned that this effort requires a lot more work than an individual can contribute…it was a valuable experience, and the door is open to file a revised version of the bill in future legislative sessions.